The French-Canadian newspaper Le Devoir has an interview with Hugo Bonin with the publication of his book, La démocratie hasardeuse (Éditions XYZ, Montréal, 2017, 150 pages). On November 5th the municipal elections in Quebec will take place. In the previous elections fewer than one citizen in two exercised their right to vote, a turnout which despite being slightly higher than that of 2013, remains steady under the 50% mark. Is that evidence of a dysfunctional system? “Our political system is in crisis, almost everybody agrees about that. A crisis of institutions, of democracy, of citizenship, a crisis, finally, of politics,” writes author Hugo Bonin in the opening of his first essay, “The uncertain democracy” (XYZ publishers). 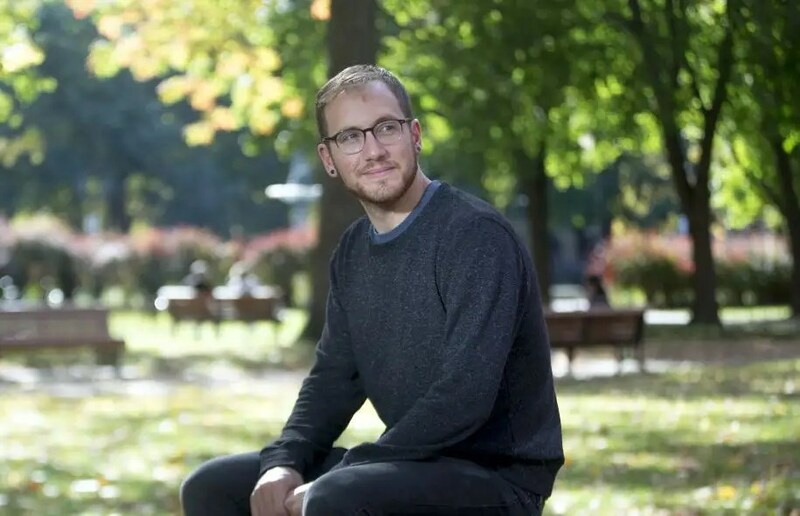 In 150 pages, the political science doctoral candidate at UQAM and the University of Paris-VIII proposes to introduce chance in our seats of power. In allotting among the citizens our next rulers we eliminate, according to him, the principle reason for the ails of Western democracies: elections. The author therefore invites the readers to think beyond electoral reforms. If sortition in politics appears audacious, this idea was not created yesterday but rather is an echo of antiquity in our days. Nor are elections “a measure of competence”, Bonin asserts. “Donald Trump seemed in the eyes of the majority as being a better candidate than Hillary Clinton. Does this mean that he is more competent?” he asks amusedly. To those who doubt that we can charge anyone with important political functions, the researcher answers that behind the elected officials there is a whole bureaucratic machine which advises them, guides them and implements their decisions. The situation will be the same for the allotted. But it would be wrong to conclude that the elected are in a better position to address society’s concerns. “The people who are within the institutions often think within a certain framework which they cannot outgrow,” says Bonin. Due to their diverse life experiences, citizens gathered in an assembly through the process of chance “would be able to think outside the box”. The introduction of sortition in politics is not a panacea, Hugo Bonin clarifies. While he conceives an ideal model in his work, at the same time the author explores the limits of this long suppressed system. “If we say tomorrow morning that we are going to allot the National Assembly and that Quebec will be run just like that, then I think that regardless of the context, that will be problematic. The people would probably have a feeling of powerlessness toward their government.” We should have other “channels to influence politics”, like popular initiatives or revocable mandates, the author suggests. Another limitation: minorities would be less well represented than the rest of the population. There too, he says, “the solution lies in multiplying the instances” to have their voice heard. But isn’t there the risk of adding to the cumbersomeness of our politics, which is already criticized? “For me, this is not adding more bureaucracy, but adding more places where the people could express themselves, take decisions, participate in politics in a more direct way. In other words, “it is by participating in politics that one becomes a politician”, says the essayist. This guy doesn’t do himself any favours by being completely wrong on facts that you’d have to be living under a rock not to know of. *** Clinton got more votes than Trump. But in a one round election, not a two rounds election as in France. Therefore we cannot be sure about the preference of US voters. *** Clinton lost because of the electoral system. She would have won with a system with direct vote and one round (at least supposing that al the voters vote the same way with this system).With the French system, we don’t know. Nor with other proposed systems. *** It is curious that “representative democracy” is able to confer democratic legitimacy to représentatives when the choice is depending on the electoral system.